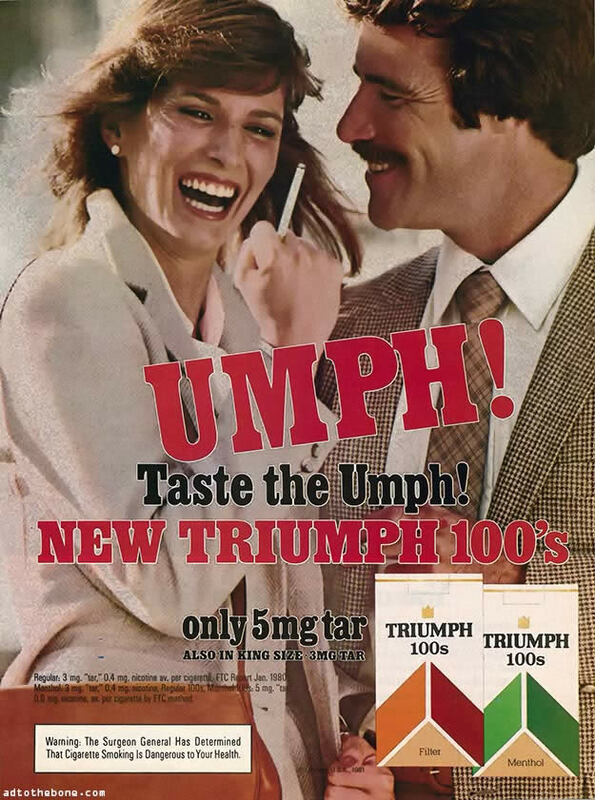 1981 magazine ad for Triumph 100s cigarettes. 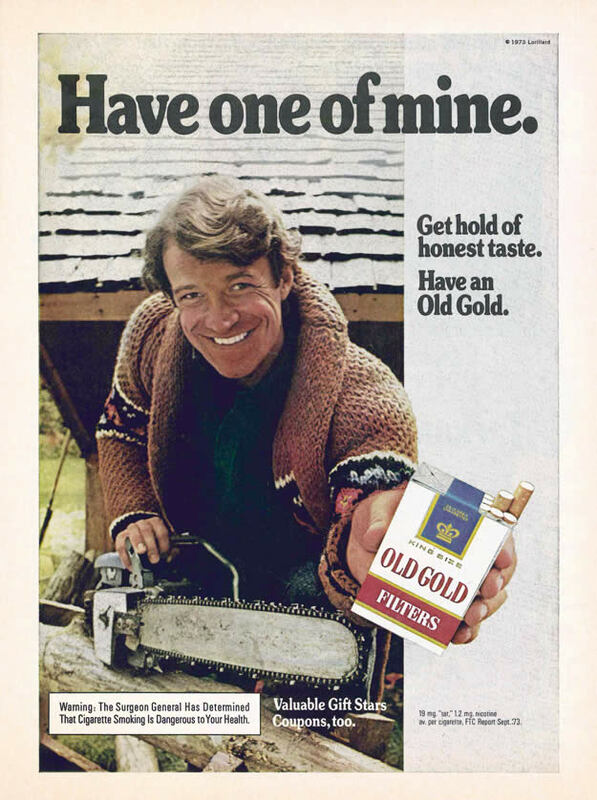 This entry was posted in ads of yore and tagged 1980s, 80s, ad, ads, advertisements, advertising, cigarette advertising, cigarettes, eighties, smoking, tobacco, tobacco advertising, vintage, vintage ads, vintage advertising on October 10, 2017 by Clayton Hove. Partial ad from a vintage mag that got me to thinking I should start collecting some of these things. 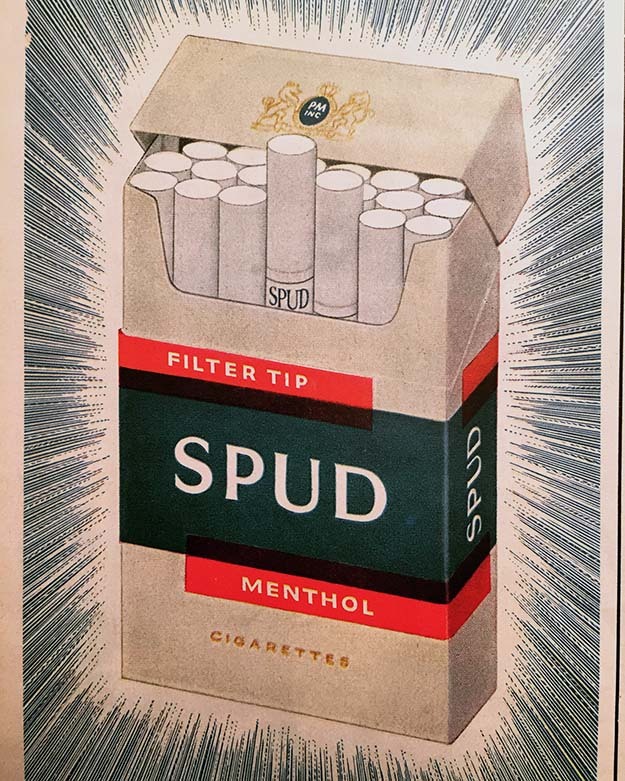 Say hello to Spud, America’s first menthol cigarette brand. And no, this name was not focus group tested. Read its lovely history here. This entry was posted in ads of yore and tagged ads, advertisements, advertising, cigarette advertising, cigarettes, magazines, menthol, spud, spud cigarettes, tobacco, tobacco advertising, vintage on September 29, 2017 by Clayton Hove. Or rather, polite desperation or desperate politeness? This entry was posted in ads of yore and tagged advertising copy, advertising headlines, carlton, cigarette advertising, cigarettes, headlines, tobacco advertising, vintage ads, vintage advertisements, vintage advertising on August 22, 2017 by Clayton Hove. This entry was posted in ads of yore and tagged ads, advertisement, advertising, cigarette ads, cigarette advertisements, cigarette advertising, cigarettes, vintage ad, vintage advertisements, vintage advertising on May 25, 2017 by Clayton Hove.